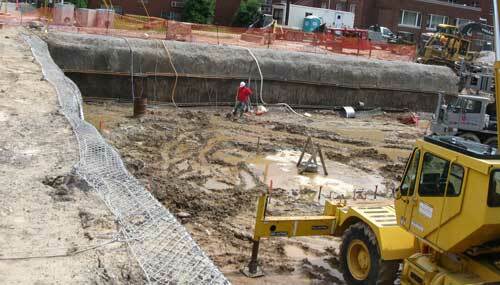 Temporary Shoring has been performed by McCloy using Helical Piers as the anchor. 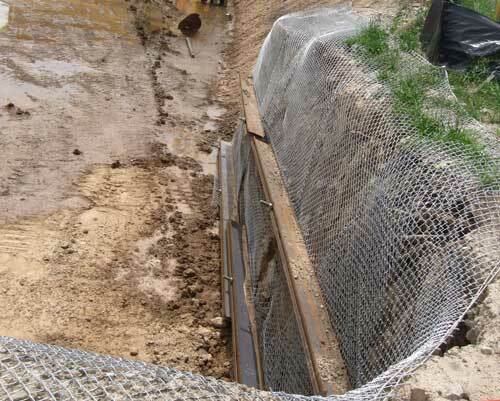 The facing has been wire mesh, geo-grid, steel sheets etc. This is a fraction of sheet piling and can be removed and re-used after the job.